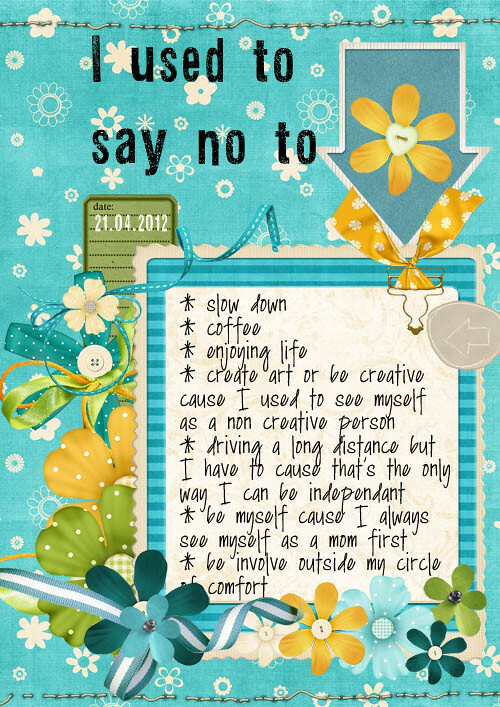 ~hanizeyecandy~ : 30 days of list // I used to say no to…. 30 days of list // I used to say no to…. Hello everyone! Hope you have a great Saturday with your family! Today prompt is the list of things I used to say no to … and now not anymore. This is such a fun list to make because it will help you reflect on how much you have grown as a person over the years. Credit: Honey Bee Kit by Maria Designs. This is also one from my old stash. Love working with my old kits which sometime I just forgot I had them. Fonts are from Wednesday post.